Spiral shaped beads with an amalgamation of beauty and perfection enrich our range of satin flower mix. Colors can include both translucent and opaque glass. It can be made in solid or translucent single colors. It all depends on the creator to use it. Available in all colors and shapes and sizes. 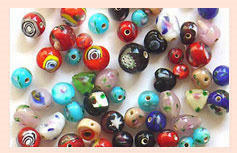 These beads are with thick color layer between crystal and flower deisng on the color. Crystal Flower beads saree pin, attractive colour, light weighted, good quality pin. By keeping the track of the latest market trends, we are engaged in manufacturing an exclusive range of Gold Plated Flower Beads. 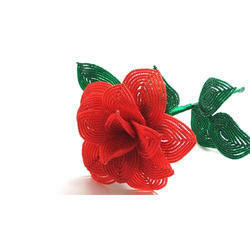 Elegantly designed flower beads with distinct pattern, these flower beads are matchless in quality & design.